Save Time & Money by Starting Your Website Right! How much does it cost to build a great website these days, and what are the most important things to keep in mind, when reaching out to developers and designers for quotes? How can you hire a team who can work together with you to portray your vision if you are not familiar with the website building process? How can you envision a site that matches your personality and brand? What functions do you need to make it successful and user friendly? As consumers, we are used to calling, emailing and researching for packages, costs, evaluating, comparing before deciding on the best solution. Sure, sometimes this is great to get you an amazing deal at an excellent price, but when looking to hire a professional there are a few things to keep in mind. The number one thing to keep in mind, is self-education. In order to know what you need for a website you should know what building blocks typically make up a full standard website. Today it is easier than ever to access all the information you could ever need online, which means there is no excuse to not be informed. Taking the time to do a little research by watching informational YouTube videos or instructional articles to understand the basics of domain names, website hosting, and content creation will be very helpful when talking with developers and designers later. Having a basic understanding of common web design terms and components along with an understanding the basics of the web design process will save you time and money. The second thing to consider is what types of features and functionality you will want or need. Do you plan to sell products and collect payment, allow users to log into your website, or just provide information about your business and allow interested customers to contact you? Finding out which type of website you need is a good start. There are two main types of websites – Ecommerce, Informational, and custom. Within these three categories you can choose from a variety of Content Managment Systems (CMS) that provide even more options. 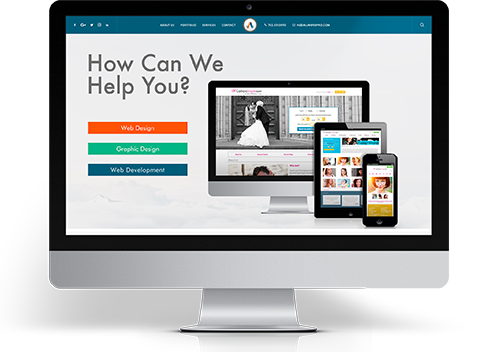 Some of the most popular CMS platforms include WordPress, Joomla, Shopify, Magento, SquareSpace, Weebly, etc. Custom development typically involves programming something from scratch or editing code in an existing program which can be done within existing CMS frameworks or in websites coded from scratch. Getting as much basic information on the most common kinds of functionality options and what CMS frameworks have those features available is key to helping you know how to get the most from your website and choose the right development approach. The third thing to keep in mind is to know what style of site you need that will fit your business type and brand. Take a while to consider competitor websites. Consider the basic web design concepts being used and relate them to why you like or dislike certain design elements on their website. Ask yourself if the website is easy to use, if important information on the website is easy to find. If you disagree with a design feature, consider what changes would improve a visitor's experience. Once you have decided what you want, move on to the next stage by talking with a professional. The last thing to keep in mind is to what degree different features on your website may affect the price of development. Even if the price may vary drastically depending on the features, different professionals do have different prices and ways to implement your features and designs. And there are a few tools online to help you get a general idea of pricing in general. After you research the first three points we mentioned above and have a good idea of the features you want on your website, you may want to use a website price calculator to give yourself a rough idea of how much your website might cost. Using the link below, select the elements you think you need and the tool will give you a general estimate of what your website might cost. Try using this calculator for starters; click here to visit the Design Quote Calculator. So how much does it cost to build a website? The truth is that there is no set budget because it depends on what kind of website you're building and who is building it. Also keep in mind that if you do some research you might save yourself a lot of time and money by building your website right the first time. Take your time and have fun researching and learning! You will know exactly what you need for your next website in no time.